Koval Supply was founded on the principal of hard work and dedication of John Koval Sr. and his devoted family. The story begins in the early 20th century in the small town of Granville, where old dilapidated buildings were torn down and sold off for scrap. 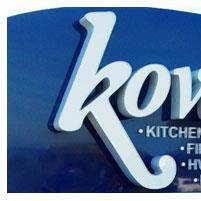 The demand soon turned towards new building material in 1963, which is the year Koval Supply became a corporation. Mr. Koval has since turned over the duties to his sons, John Jr. and Steve to lead the company into the 21st century.